Nadiya...Loving Every Moment: Chilly Morning...= Cold Front in Florida..
For us here in South Florida, "winter" is showing its face. By winter I mean we are going to drop to the 40's for a few days. Yes, it's cold for us. Time to get snuggle up and cozy.. Being used to average temperatures of the 70's this time of the year, this is a "drastic" change. 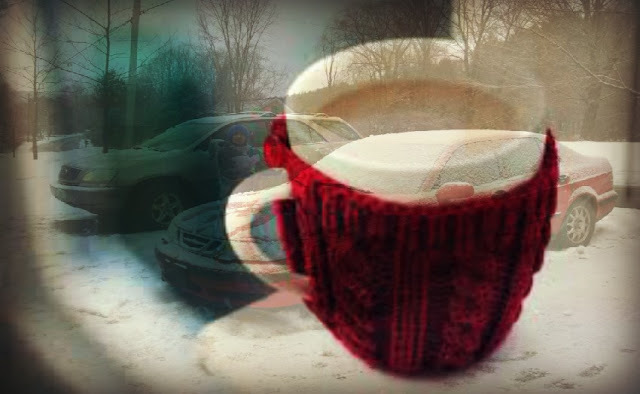 Time to pull out the gloves, sweaters and scarf, and yes, these are days for hot chocolate. Now I am the one making it rather than Arvid, and he seems to pretty much likes it. What better way to enjoy these cold days than with the company of friends and family. I think she likes me, and I definitely find her adorable. We had a pretty good time yesterday with little Madeline and her parents. Stay warm everyone. Bundle up and do as I do have lots of hot chocolate and lots of extra blankets for these cold "winter" nights in Florida. Almost everyone else knows how to cope with the cold. In Florida we are basically wimps when it comes to the "chill"
Labels: Weather forecast for tonight: dark.